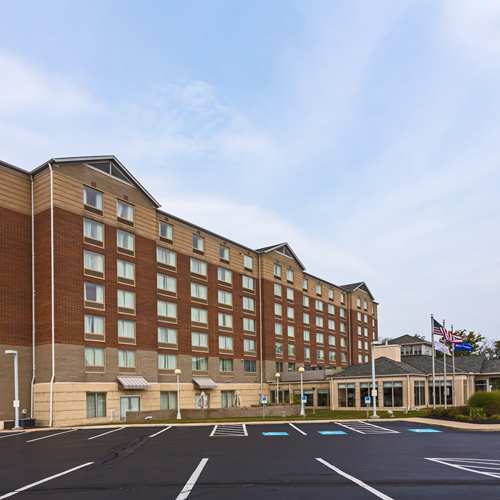 This hotel features spacious guest rooms with comfortable bedding, large desks and an easy chair. Some rooms with a king size bed have a sofa sleeper. The lobby café serves breakfast and dinner daily. The small exercise room adjacent to the indoor pool is equipped with a few cardio machines and a rack of free weights. Smoke free premises. 168 units. 7 stories, interior corridors. Accessibility (Call). I-480 exit 9, just n on Grayton Rd. 4900 Emerald Ct SW 44135.